It is really cool, the more I get involved in the Mazda racing community, the more good stuff I get. Not huge amounts of good stuff, but it is nice to receive little tokens of appreciation from Mazda every now and then. First, they conclude all their email messages to me with "thanks for racing a Mazda." You may say it's not much, but I know for a fact that other manufacturers will show much less appreciation for racing their product. Some of them will even void your warranty if they find you as much as autocross your car. Also, there is something to be said about the substantial discounts on stock parts for Mazda racers. And the contingency program, which may not be very relevant for me now, but hopefully will be in a couple more seasons. For those of you unfamiliar with racing sub-culture, "contingency program" means that if you run Mazda (or whoever you want money from) decals on your car and win a prize place in a qualifying race, you get paid by Mazda--sometimes more, sometimes less, depending on the caliber of the event. Supposed to help you support your addiction to going zoom-zoom. Speaking of which, that copy of the Zoom Zoom Magazine I got from Mazda, supposedly also due to my racing an MX-5, so that issue has an article about Miata turning 20. There they interviewed three guys originally involved in creation of the first MX-5, and also gave some background on the design principles used in the process. 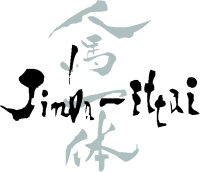 I have never read anything about Miata design, so I was very pleasantly surprised to discover that the guiding principle for its creation was jinba ittai, loosely translated from Japanese as unity of horse and rider. It was really cool because these words were the exact ones I used to describe what I love most about driving my Bonnie car, drawing weird looks from my passengers.